The notoriety of this home’s original owner extended far beyond Sandusky. When William Henry Harrison stopped in Sandusky during his 1840 presidential campaign he was the guest of prominent Whig Eleutheros Cooke in the adjoining house at 410 Columbus Avenue. Cooke was the father of Civil War financier Jay Cooke. Although limestone was easily accessible in Sandusky, Cooke was one of the first to specify its use in a structure. One of Sandusky’s earliest limestone structures is one of the few remaining double limestone houses. 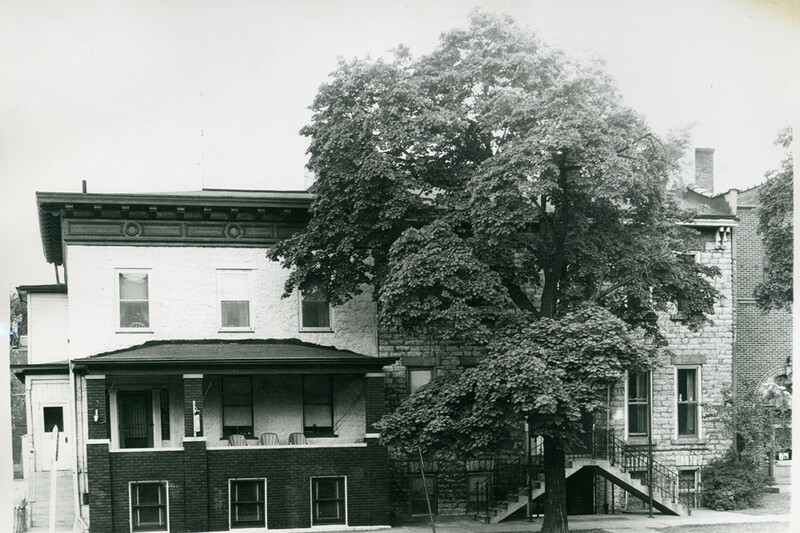 In 1865 wholesale grocer William Robertson purchased the home where he resided for almost 30 years. Besides the steps it is assumed the cornice brackets were added when the ornate Italian style was popular.